The circulatory system is made up of various organs that produce both white and red blood cells found in the immune system. The lungs, heart, veins and arteries must coordinate to efficiently transport almost 5 liters of blood around the body. While red blood cells transport oxygen, it is the white blood cells that fight infectious organisms and perform blood clotting. The spleen and marrow are considered the birthplace and nursery of these cells. The spleen is a multifunctional organ. In the circulatory system, its main role is to destroy and remove old or defective red blood cells and cell debris or bacteria from the blood stream. 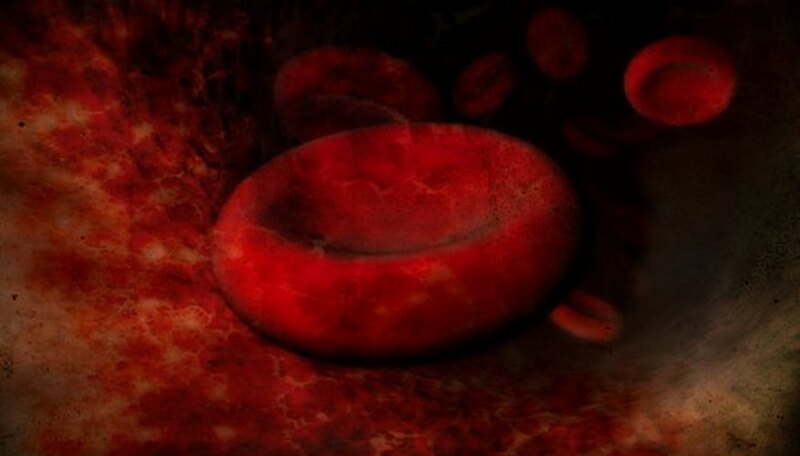 It also produces red blood cells when required, as well as lymphocytes, plasma cells, and antibodies. It therefore acts as both a storage reservoir for stem cells and mature blood cells, which it will release into the blood circulation when the body requires it (e.g. to fight infections). It also acts as a filtration system to purify blood. Although it has many seemingly important functions, the human body is capable of surviving without a spleen, or with a spleen that is damaged. The marrow is the spongy red-yellow tissue found inside most human bones, especially bones of the hip and thigh, and is the site where blood cells are made. The marrow consists of many types of cells, such as fat (lipid) cells, bone-forming osteoblasts and blood-forming hematopoietic stem cells. The latter are able to grow into every type of white and red blood cell in the human body, from erythrocytes (red blood cells), to macrophages, neutrophils, and mast cells. Millions of blood cells are produced here everyday, and the bone marrow also serves as the site where they are stored and matured before they enter the circulatory system. The timing at which the spleen first appears varies from species to species, however in humans it is present from the fifth week of gestation or embryo development. Attached to the embryo is a tissue mass known as the yolk sac which contains the cells destined to form both the spleen and stem cells that then go on to form different blood cells. Both red and white blood cells, which possess different biological functions, will be produced by the spleen by the 13th-27th week of pregnancy (i.e. the second trimester). Marrow development is more complicated due to the variety of cells generated, and is therefore directly linked to the multifactoral process of hematopoiesis. Many blood diseases or syndromes arise due to a lapse or failure to tightly control the complex steps involved in generating each distinct cell type that comprise these organs. The range of disorders that affect either organ differs greatly. While the bone marrow is often the location of lymphomas, leukemias, and other defects of white blood cell growth (known as myeloproliferation), disorders that affect the spleen can cause its enlargement (splenomagaly). This compromises its function and reduces the numbers of healthy blood cells in the circulatory system, as well as causes injury to itself because it accumulates excess cells. Anything that disrupts the normal production or maturation of white blood cells will affect the health of the bone marrow. Aside from the conditions mentioned, iron deficiency can also cause bone marrow abnormalities such as aplastic anemia, while and viral infections such as that caused by the human parvovirus, can also affect the bone marrow. Other factors are hereditary and include the genetic defect Fanconi’s anemia. Hematopoiesis: A Developmental Approach. Leonard I Zon, 2001. Owyoung, Palmer. "What Is the Role of the Spleen & Marrow in the Circulatory System?" Sciencing, https://sciencing.com/role-spleen-marrow-circulatory-system-5591539.html. 24 April 2017.